A reformulação da Directiva relativa ao desempenho energético dos edifícios (EPBD), aprovada em 19 de Maio de 2010 pelo Parlamento e o Conselho Europeu, aponta para 31 de Dezembro de 2020 como a data a partir da qual todos os novos edifícios deverão enquadrar-se no conceito NZEB. O presente artigo apresenta, nesse contexto, alguns contributos da nanotecnologia para a meta referida. Descrevem-se os isolamentos térmicos de elevado desempenho, os vidros de baixa condutibilidade térmica e com propriedades electrocrómicas. Aborda-se ainda o caso das células fotovoltaicas de 3ª geração para produção de energia eléctrica renovável. Improving energy efficiency in existing buildings is a great challenge. These buildings have their own limitations related with their design, location and function. 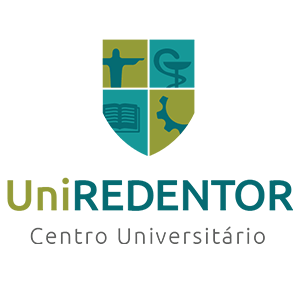 To study the possibilities of cost-effectively improve the thermal performance of these buildings and increase the chances of reaching the nearly zero energy (nZEB) target, one building of Rainha Dona Leonor neighborhood has been analyzed. The purpose of the study was to find the most cost-effective renovation solution for this case study and assess in what way this solution contributes to reaching the nZEB target. With this work it was possible to understand that the energy performance of this kind of buildings can be firstly improved through renovation measures applied to the envelope but, above a certain level, changing the existing equipment and the energy source become more cost-effective. Silva, Sandra Monteiro; Almeida, Manuela Guedes de; Bragança, L.; Carvalho, M.
The recast of the energy performance of buildings directive stipulates that by 2020 all new buildings should reach nearly zero energy levels (2019 for buildings owned or occupied by public authorities). Therefore technicians involved in the design, conception and approval of such buildings should be able to understand and apply nearly zero energy buildings (nZEB) concepts both towards new buildings and the refurbishment of existing ones. However the number of architects and engineers that are able to deal with new technologies and standards might not be adequate to the increasing market demand. Additionally, at European Union (EU) level there are differences in commitment to the EU targets and the construction of nZEB. In this context, arose the SouthZEB project, that is an Intelligent Energy Europe (IEE) funded project, that aims to fill this gap and address the need to develop training schemes to professionals involved in nZEB building process, transferring successful practices and knowledge from front runners to target Southern EU countries that are less advanced in this area. This paper presents the project aims and overview. Directive 2010/31/EU adopted that by the end of 2020 all new buildings should be nearly Zero-Energy Buildings (nZEB) and Member States should achieve cost-optimal levels by ensuring minimum energy performance requirements for buildings. This paper discusses how low should be the energy required by a nZEB, in the context of housing energy consumption in a Mediterranean climate (Lisbon). For selected houses built after 1990, the calculated primary energy loads for regulated uses – heating, cooling and domestic hot water – are found to be below 90 kWh/(m2 year). Applying the cost-optimal solutions of thermal insulation and glazing type and considering energy efficiency improved systems, this study concludes that housing energy loads are ‘low’ for the indicative range of 70 kWh/(m2 year) for regulated uses or 100–110 kWh/(m2 year) for total uses, taking primary energy indicators (PEI) from EN 15603. Assuming PEI from Passive House Planning Package or those to be assumed in Portugal for 2013, the threshold decreases to 60 kWh/(m2 year) for regulated uses or 90–100 kWh/(m2 year) for total uses. Only the first nZEB condition is explored by this paper. The second condition requires that the nZEB energy load is covered by a ‘significant’ part of renewable energy sources produced on-site or ‘nearby’. 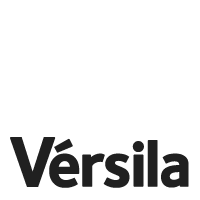 Dissertação apresentada na Faculdade de Ciências e Tecnologia da Universidade Nova de Lisboa Para a obtenção do Grau de Mestre em Energia e Bioenergia; A Directiva 2010/31/UE obriga todos os edifícios novos a serem NZEB até Dezembro de 2020.Um NZEB é aquele que ao longo de um ano produz tanta energia quanto a que consome. O Solar XXI é um edifício de elevado desempenho energético sendo necessário em 2007 apenas 11,5kWh/m2.ano para satisfazer todas as necessidades energéticas. O objectivo deste estudo é avaliar a contribuição de um sistema solar térmico na redução das necessidades energéticas de aquecimento do Solar XXI. Estabeleceram-se dois cenários, representando o cenário (A) as necessidades de aquecimento para uma utilização onde todas as salas e gabinetes utilizam o sistema de aquecimento na sua potência máxima, e um cenário (B) representativo de uma suposta utilização mais próxima da realidade, com menores necessidades energéticas. O sistema solar térmico deste edifício produz no cenário (A) 2,1kWh/m2.ano e no cenário (B)4,0kWh/m2.ano. Esta contribuição não é suficiente para que o Solar XXI alcance o estatuto NZEB. Contudo, os novos módulos PV instalados no Solar XXI irão produzir 35kWh/m2.ano fazendo com que o balanço energético anual do edifício seja positivo. Os resultados obtidos por simulação no programa Solterm 5.1.3. deverão ser aferidos com os dados provenientes da monitorização que se espera realizar ao sistema. In this paper, the characteristics and definitions of NZEBs are studied. In particular, the methods for calculating balance for each concept and methodology are analyzed in this work, taking into account the interaction of the NZEB with the energy grid, the emissions produced per energy consumption and the introduction of the primary energy concept as an indicator of balance. High-energy-efficient appliances are the main interest in this paper due to their importance and level of use in tropical regions. How these appliances can reduce energy consumption is described, as well as their impact on electrical performance being of significant benefit in Colombia. That is if they could be applied on a massive scale in projects related to Viviendas de Interés Social -VIS (social dwellings) in the long term.